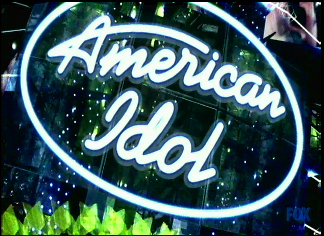 American Idol is an American television series that was originated from the UK show Pop Idol. Started in 2002, American Idol, (formerly known as American Idol: The Search for a Superstar) has developed into a formidable cash machine during all these years. The purpose of setting up the American Idol is to determine the best “undiscovered” young singer in the country. Today, this singing talent contest has become one of the most highly publicized music competitions in the world. American Idol is managed by 19 Entertainment. This UK based company was founded by Simon Fuller in 1985. In March 2005, Simon Fuller sold the company to Robert Sillerman’s CKX, Inc. in a cash and stock deal worth £100 million ($192 million). Fuller has remained in his role as President of 19 and has become a director of CKX. For telephone and text message voting, Telescope is managing it. Even though 19 Entertainment has successfully managing the American Idol and also successfully introduced and inspired other nations to produce their own variations of the Idol series, but sorting out who gets what when it comes to cash and control remains a tangled thicket of deals between 19 Entertainment and its various business partners. Although American Idol is managed by 19 Entertainment, but the public company that owned by billionaire media investor Robert F.X. Sillerman only held two-thirds of the “Idol” brand.Another third belongs to FremantleMedia, a TV production company owned by German media giant Bertelsmann’s European broadcasting unit RTL Group. The two companies control “Idol” merchandizing rights around the world. The top 24 contestants sign a deal that gives 19 the option on recording, management and merchandising rights. Finalists are also contractually obligated to participate in the American Idols tour that follows the show. The contestants jointly retain a single attorney, selected by the show, to represent all of them and negotiate their deal with 19. Artists who are ultimately optioned by 19 sign a three-album deal (terms not known). FremantleMedia also participates in a minority share of the winner’s recorded music revenue. As for the management option, Fuller says that, when it’s exercised, it’s a three-year deal. “Idol” vets Carrie Underwood, Chris Daughtry and Fantasia are currently managed by Fuller. Other acts have opted to go elsewhere for representation after the option expired. 19 Entertainment finds a home for the winner and any signed finalists within the Sony BMG system in the United States, and licenses marketing, manufacturing and distribution rights to a Cowell production company called Simco. 19 Entertainment is a leading creator and producer of entertainment properties, including American Idol in the United States. The company managed many artists, primarily from the music industry, most notably the Spice Girls and S Club 7. It has also entered into an exclusive global joint venture with David and Victoria Beckham. This entry was posted on Tuesday, January 16th, 2007 at 10:39 am	and is filed under Interesting Stuff. You can leave a response, or trackback from your own site.